The US government, with assistance from major telecommunications carriers including AT&T, has engaged in massive, illegal dragnet surveillance of the domestic communications and communications records of millions of ordinary Americans since at least 2001. Since this was first reported on by the press and discovered by the public in late 2005, EFF has been at the forefront of the effort to stop it and bring government surveillance programs back within the law and the Constitution. News reports in December 2005 first revealed that the National Security Agency (NSA) has been intercepting Americans’ phone calls and Internet communications. Those news reports, combined with a USA Today story in May 2006 and the statements of several members of Congress, revealed that the NSA is also receiving wholesale copies of American's telephone and other communications records. All of these surveillance activities are in violation of the privacy safeguards established by Congress and the US Constitution. EFF is fighting these illegal activities in the courts. Currently, EFF is representing victims of the illegal surveillance program in Jewel v. NSA, a lawsuit filed in September 2008 seeking to stop the warrantless wiretapping and hold the government and government officials behind the program accountable. In July 2013, a federal judge ruled that the government could not rely on the controversial "state secrets" privilege to block our challenge to the constitutionality of the program. 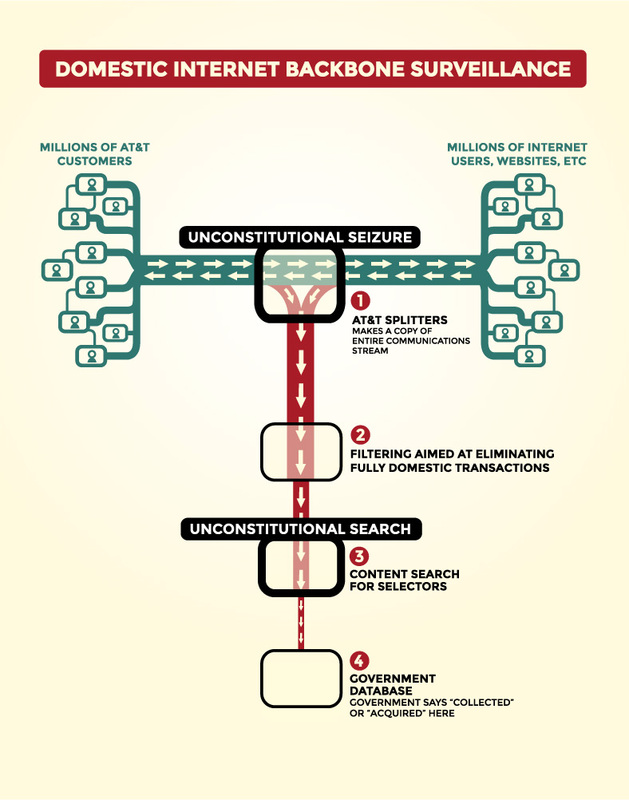 On February 10, 2015, however, the court granted summary judgment to the government on the Plaintiffs’ allegations of Fourth Amendment violations based on the NSA’s copying of Internet traffic from the Internet backbone. 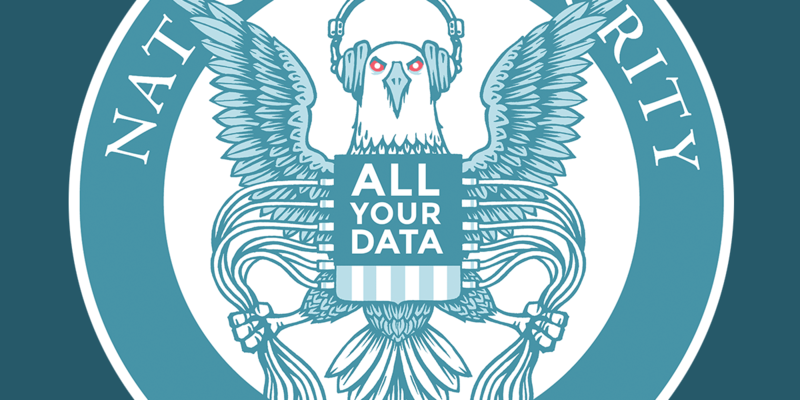 The court ruled that the publicly available information did not paint a complete picture of how the NSA collects Internet traffic, so the court could not rule on the program without looking at information that could constitute “state secrets.” The court did not rule that the NSA’s activities are legal, nor did it rule on the other claims in Jewel, and the case will go forward on those claims.This case is being heard in conjunction with Shubert v. Obama, which raises similar claims. In July, 2013, EFF filed another lawsuit, First Unitarian v. NSA, based on the recently published FISA court order demanding Verizon turn over all customer phone records including who is talking to whom, when and for how long—to the NSA. This so-called “metadata,” especially when collected in bulk and aggregated, allows the government to track the associations of various political and religious organizations. The Director of National Intelligence has since confirmed that the collection of Verizon call records is part of a broader program. In addition to making the same arguments we made in Jewel, we argue in First Unitarian that this type of collection violates the First Amendment right to association. Previously, in Hepting v. AT&T, EFF filed the first case against a cooperating telecom for violating its customers' privacy. After Congress expressly intervened and passed the FISA Amendments Act to allow the Executive to require dismissal of the case, Hepting was ultimately dismissed by the US Supreme Court. In September of 2014, EFF, along with the American Civil Liberties Union (ACLU) and the American Civil Liberties Union of Idaho, joined the legal team for Anna Smith, an Idaho emergency neonatal nurse, in her challenge of the government's bulk collection of the telephone records of millions of innocent Americans. In Smith v. Obama, we are arguing the program violated her Fourth Amendment rights by collecting a wealth of detail about her familial, political, professional, religious and intimate associations. In particular, we focus on challenging the applicability of the so-called “third party doctrine,” the idea that people have no expectation of privacy in information they entrust to others. Smith v. Obama: EFF's appeal with the ACLU of an Idaho nurse's challenge to the NSA's phone metadata surveillance.